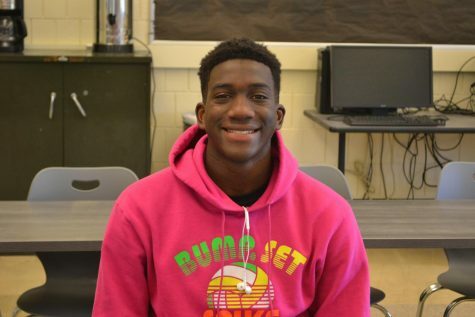 Joe Brown, also known as “Journalism Joe,” is a junior who decided to take Journalism because he wanted to get to know people on a different level through pictures. Brown is a big athlete at U-High, playing Varsity Soccer, Basketball, and running Track since sophomore year. Being a three-sport athlete takes up a majority of his free time and forces him to work harder to get school work done. Luckily, Brown is a hard worker and self-motivated. Joe’s biggest fear is to just grow up being another person. His goal in life is to motivate people and make a difference in the world.